Stay up-to-date by getting the latest news / press releases from MSS! 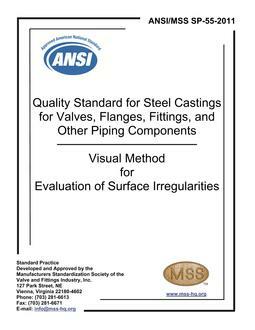 View the complete pricing list of MSS Standards. Prices are subject to change. Submit an inquiry or request official interpretation. Please allow 30 days for response. MSS offers unique advantages and opportunities for its members. Join MSS and get involved! SP-105-2016a, Instrument Valves for Code Applications (replaces 2016 edition) ADVISORY: The original SP-99-2016 AND SP-105-2016 (published November 2016) have been replaced by this revised 2016a edition. Contact MSS or your distributor if you purchased the original 2016 edition, for a discounted replacement.